Occupation: Vodka drinker (full time). MrChromed has contributed to 290 posts out of 468638 total posts (.06%) in 2,201 days (.13 posts per day). The current available version is a bit old and "ugly" compared with the new one, so don't download it. Instead, wait for the upcoming version, which includes a lot of new features and fixes, as I said above. Yeah, I already edited the previous message. Thanks for pointing that out. Could you be more specific? Btw, if you use Chimera, you need to use the "chimera_modded_stock_maps 1" command in order to keep using modded stock maps with Chimera. It's exactly what Spartan314 said above. In SPv3, we just emulated the "ragdoll" physics in order to give a more realistic perception. 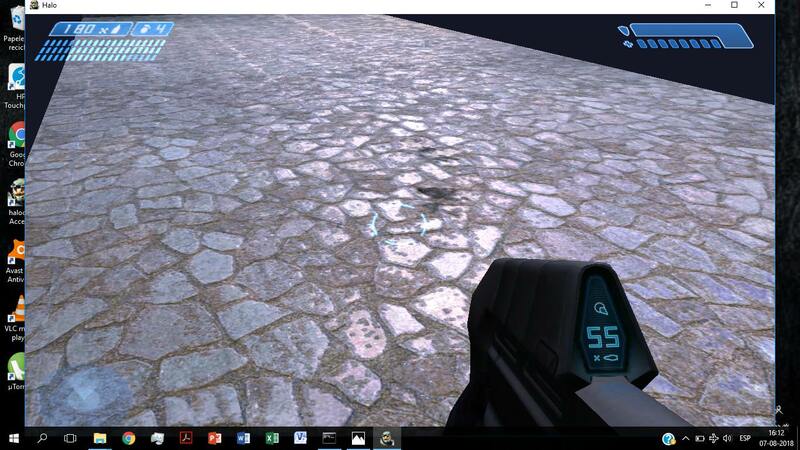 Halo: Combat Evolved (and so, Custom Edition) doesn't support ragdoll physics. Instead, it uses "Inverse kinematics" physics (IK). Why don't you use FXAA instead? Of course, isn't as accurate as real AA, but you get a decent result. The only disadvantage comes when the image gets a bit blurry. You can use FXAA if you have a GeForce card. Google it! Most of the current videotutorials showing the process are in spanish, so you won't understand a thing. Besides, all of those methods have significant bugs and glitches they don't even bother to fix by themselves, because they don't know how since they just swap tags and that's it. Even Kavawuvi stated that Proton was never finished, and so, you'll get some bugs. Aegis Mind managed to do a really decent job by using this method in order to create noise-free sounds. The file size worth it. Nice! I thought you were dead (not literally, but in modding terms). It's always nice to see somebody coming back. Keep up the good work, it's hard to see custom projects these days. I don't want to be mean but, is it that hard to post some pics from your map? If you wanna promote your project, you need some visual incentives at least. 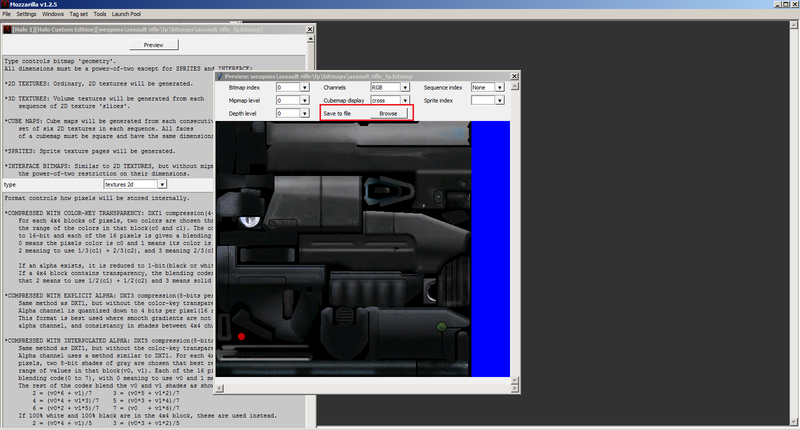 Refinery has the same tool as mozz when viewing bitmaps in it, so it can also extract from maps. Oh yeah, I forgot the "data extraction" feature. My bad. 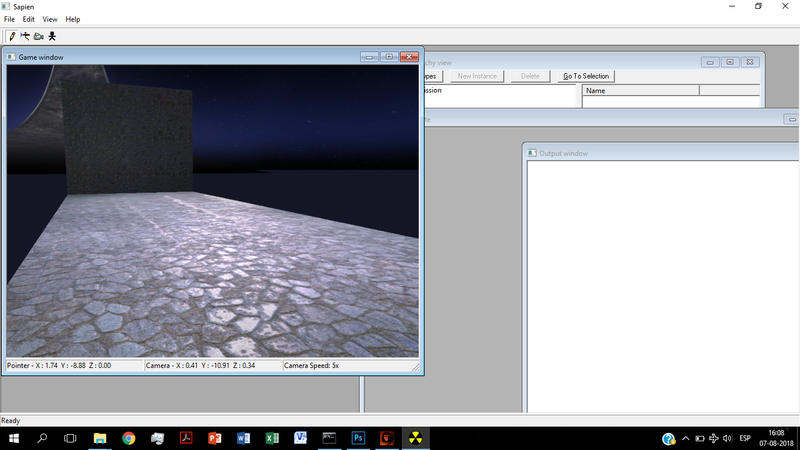 Reshirom, you can also use Refinery to open existing .map files and extract textures from them. I don't suggest to use such an outdated tool. You can just use MEK (Mozarilla, to be exact), or even Adjutant, since the V4.2 supports HCE maps too. 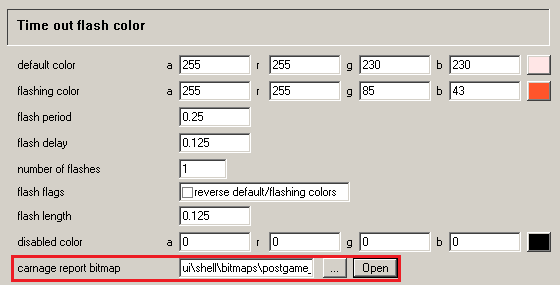 In the case of Adjutant, you need to open .map files in order to extract textures, while with Mozarilla, you just need to set your "tags" folder location and open the .bitmap files to save them as DDS, TGA, PNG or .BIN (raw format). Much better results. You just need some more tweaks and improvements. PS: Try to connect to Discord more frequently if you want some more help in real time. You're on our "HCE Mappers Noobs" server, so you'll find me in there. Some people tend to make these kind of mistakes while making normal maps for the first time. 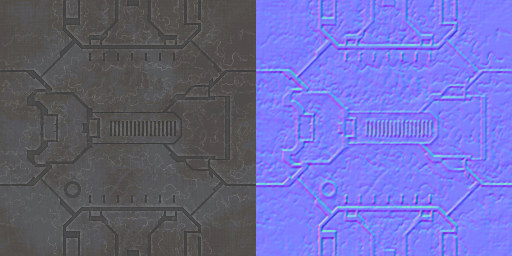 The reason your normal map looks like that is because you're using the diffuse texture in order to create the normal. And so, your normal map texture will contain a lot of "noises" and unnecessary details. Try to create the normal map from a "heightmap", which is a greyscale texture that will only contain the necessary details and info. As you can see, the heightmap helps you to isolate unnecessary details, and you'll get a better result. You can see some tutorials of how to make heightmaps, or you could experiment by your own with Photoshop (if you use it, of course). I hope this can help you to understand this. ...is there somewhere I can get this file? 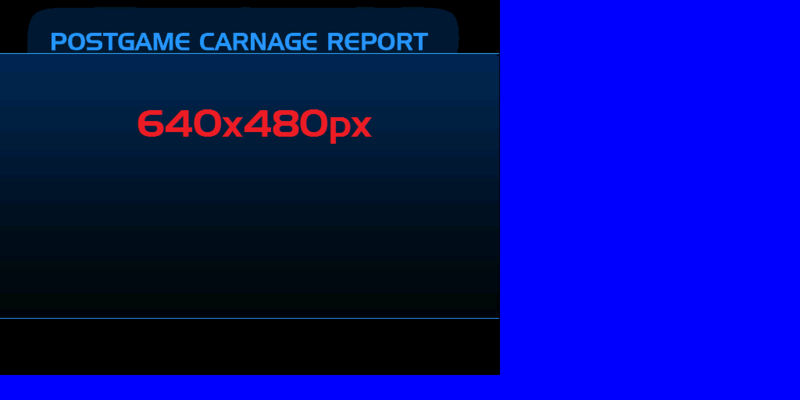 The original "post-carnage report" texture uses a resolution of 1024x512px, but in fact, the "table" itself is contained in a 640x480px space. 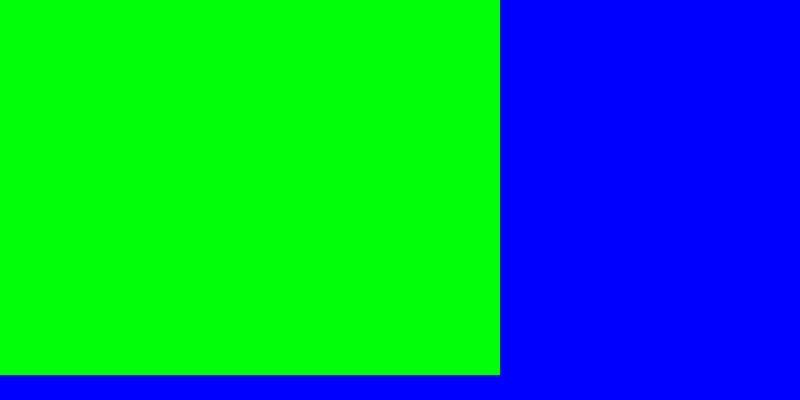 Basically, the rest of the entire texture is just blank space that can't be used. 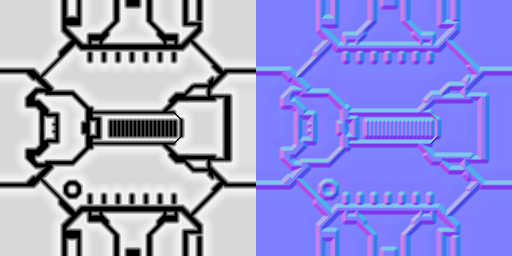 Since the table was made for the Xbox (and so, 4:3 aspect ratio monitors), you can only create a texture of that resolution and, in the exact same location as the original (upper left corner). 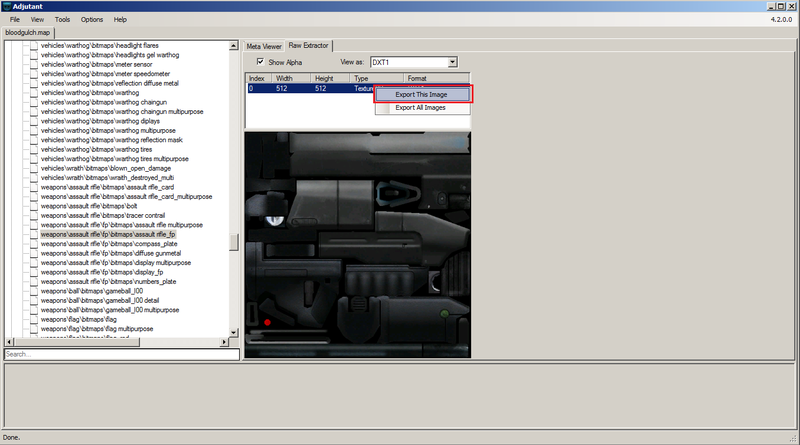 Finally, once you have your new "post-carnage report" texture compiled, open your current .hud_globals (usually, it's located in ui\hud\default.hud_globals), and use the current location of your texture in the "carnage report bitmap" field, which is located at the very end of the .hud_globals. I'd like to nominate TSC:E's architecture, if that's not too self-serving. Oh, of course you can include it. In fact, it was my fault to not include it to the list. The TSC: E's architecture is simply gorgeous. - Delta Ruins (why not?). - Core (and the modded version: h3 Core). These maps have a great Forerunner aesthetic. Some of them might not be the best in gameplay terms or even in level design terms, but visually, they show the greatness of the Forerunners achitecture. Of course there're other maps out there, but I can't remember all of their names for now. Time: Tue April 23, 2019 3:00 PM 891 ms.